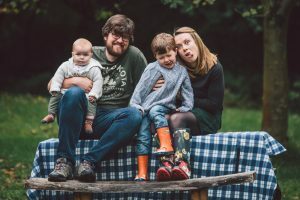 September 2018 ‘s me and mine photos are some that we absolutely adore. Last weekend we had a photo shoot with Wayne and Linda at Wayne Rowe Photography and my gosh did they manage to capture some amazing shots! 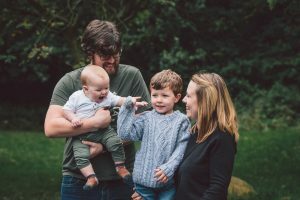 We had an outdoor shoot when Alfie was just a bit older than Eli is now and it was something we knew we wanted to do again. I think I’m set for life for Instagram photos! Hitting target at Slimming World! Cutting his first four teeth! Hmm, well, maybe not loving it! Unfortunately we haven’t had the best end to the month. Both Eli and Alfie have been poorly. 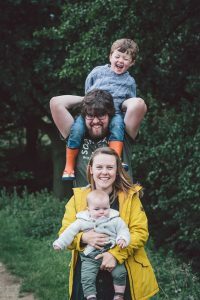 We’ve had numerous trips to the doctors, out of hours and the hospital and very little sleep. 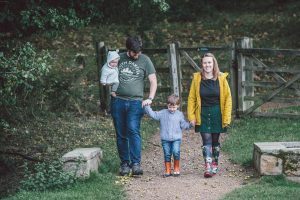 The change in the weather has been nice as we love Autumn, going for walks in our wellies and kicking leaves, but not for the colds it gives us! Yet again we have a photo of me looking ridiculous. Dan and Eli didn’t get the silly face memo… Or they were sensible and chose not to join in! October’s photos are going to have a lot to live up to that’s for sure! You can have a nosy at some of Wayne’s other work here.